Ned Jasper is back, and he’s picked out the best new cars we’ve seen during 2017. You might well be surprised by what takes the top honours! Those of you who are regular readers of EngageSportMode will know that it has become somewhat of a tradition that each year at roughly this time, I take a look back through the years motoring new arrivals, and pick a select few to be crowned the best new cars of the year. This year, however, there’s a slight problem with that. As, over the last 12 months or so, the only car I’ve actually had the chance to write about is the Porsche Panamera Sport Turismo. 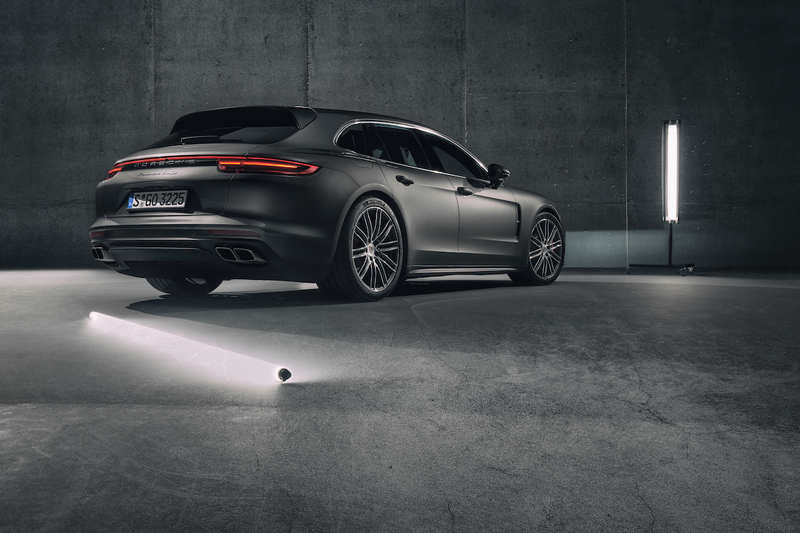 Now the Panamera is an awesome machine, and undoubtedly one of the coolest cars to be released in 2017, being that it is both a Porsche and an estate. But it would end up being a rather short list. Luckily for me, Editor John has been busy this year, so I’ll be pinching a some of the cars he’s written about. Plus I’ll add in one or two extras. Right, let’s get started, shall we? 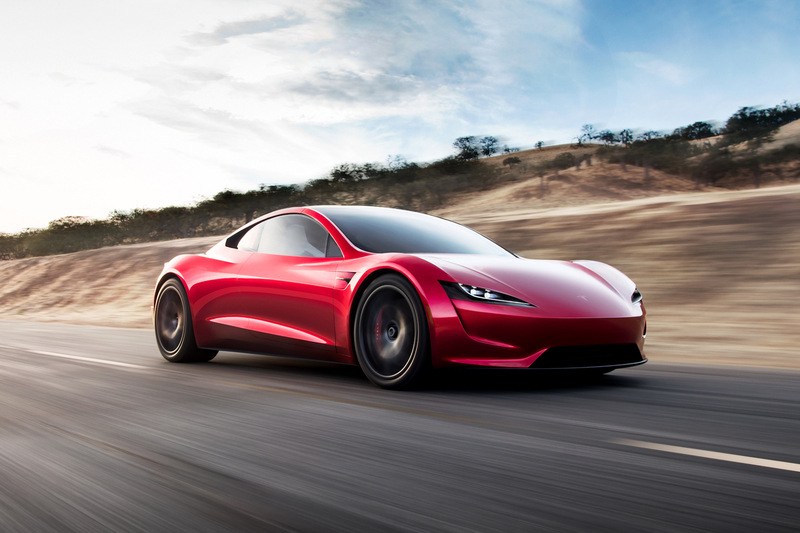 Elon Musk snuck in this little beast at the end of his Semi-truck presentation last month, and although it may have looked like an afterthought there, the engineering that’s behind it all certainly isn’t. This is the car you want in a game of top trumps. Headline figures are as follows: 0-60mph in just 1.9 seconds – that will make it the quickest production car on the planet. It then goes on to run a 1/4-mile in 8.8 seconds, all the way to a top speed of over 250mph. No exact figure has been given, but it looks like they’ve got another certain speed record in their sights. All-electric range: is 620 miles. Impressive, sure, but considering the other two figures, I wouldn’t care even if it did half that. The final figure is torque; 10,000 Nm of it to be exact. However, don’t lose your minds just yet, because that figure is at the wheels, including the final drive ratio. Technical stuff I know, but basically, any car could make that amount of torque at the wheels so long as it is geared to do so. So that last figure is a bit cheaty really. Despite the Roadsters handsome looks and colossal performance, it takes just 7th place on this list. Firstly, because production models won’t be around for at least a year or so yet, and secondly, because it lacks character. It’s not wantable in the same way as some of the other cars on this list. Desirability aside though, this performance machine bodes rather well for the motoring industry’s future. Some might say that the hot hatch boom took place back in the late 80’s with legendary names like GTI, GTE and GT Turbo being introduced. It is in today’s times, however, that there the most scorching hatchbacks are hitting forecourts. Offerings come from across the globe, varying in shape, size and fierceness. Naming structure varies too. 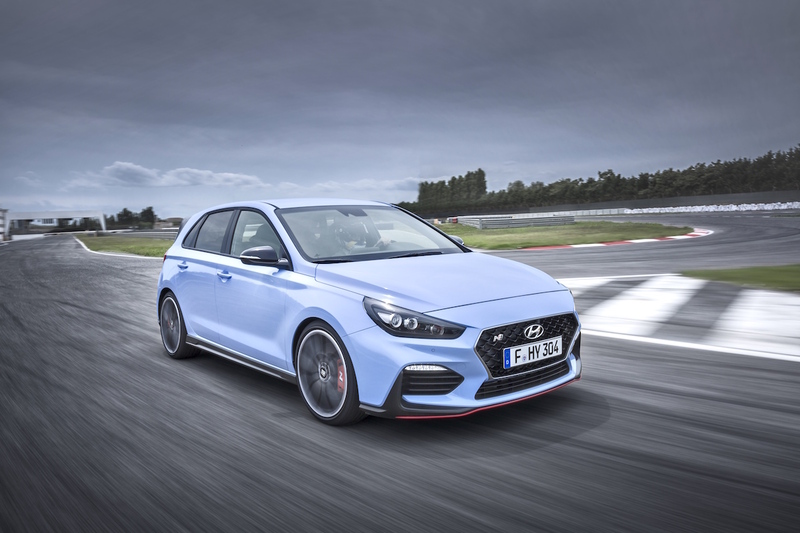 Gone are the most of the GT’s, and Turbo’s, instead, we’re left just with the single letter N, in Hyundai’s new i30 N. Now as much as I would like that to stand for my name – imagine that, a hot hatch built to my specifications- it actually stands for Nurburgring. So it should be good. Figures aren’t eye-watering, with comparable power and pace to the latest Golf GTI. There is 271bhp to the Golf GTI’s 242bhp when both are fitted with optional performance packs. Straight line pace is closely matched though, with both the Korean and the German hitting 60mph from rest in 6 and a bit seconds. In a car like this though. Outright speed isn’t everything, and considering it’s been developed on the ‘ring, handling is where the i30 N should shine. Whether it does or not we’ll have to wait and see, but the first reviews sound positive. This new offering from Hyundai deserves a place on this list because it’s one of the first Hyundais I wouldn’t mind being overtaken by. It would seem that 2017 is quite the vintage for sporty Korean cars. First the I30N from Hyundai, next this from Kia. There’s no doubting that the Stinger is quite the looker, but that beauty is more than skin deep. All models feature RWD as standard, but its the GT-S we’re interested in here. That means a 3.3-litre twin-turbo V6, adjustable sports suspension, Brembo brakes, sticky tyres and a limited slip differential. Yes,on a Kia. It’s quite a package, don’t you agree? With 365BHP on tap, it’s not quite an M3 killer, but it is a brilliant, more affordable, alternative to 340i M-Sport. To those who aren’t that into cars, the notion of estate cars is that they’re brown, boring and the kind of thing that your history teacher drove. To us car people, however, they can be some of the coolest cars on the roads, especially in brown it would seem. This is the Panamera Sport Turismo, it’s the only car I actually wrote about in 2017, but it’s a good one, trust me. Making it so good is quite a simple recipe. Take the newly restyled Panamera, stick a large ( and good looking) boot on it, colour it brown and hey presto, you’ve got a usable supercar with added sleeper credibility. The Sport Turismo is a truly awesome car, and one that gives me hope for the future, as these things should become bargains by the time my insurance premiums become affordable. Who know’s maybe in 10-15 years time you’ll be reading my article about how I’ve bought the cheapest Sport Turismo in the UK. Since the latest generation of BMW’s performance coupe was launched, it’s always been said that it’s lacking something. It didn’t quite catch the same character of the older models. Closer to a turbocharged muscle car, than a finely tuned performance coupe. About this time last year, BMW brought out the winged and oranged track focused GTS. You see, the problem is, that treatment pushed the M4 platform a little bit too far the other way. The CS, however, is the sweet spot. Focused enough to live up to its heritage, and tame enough to daily drive. In other words, spot on. 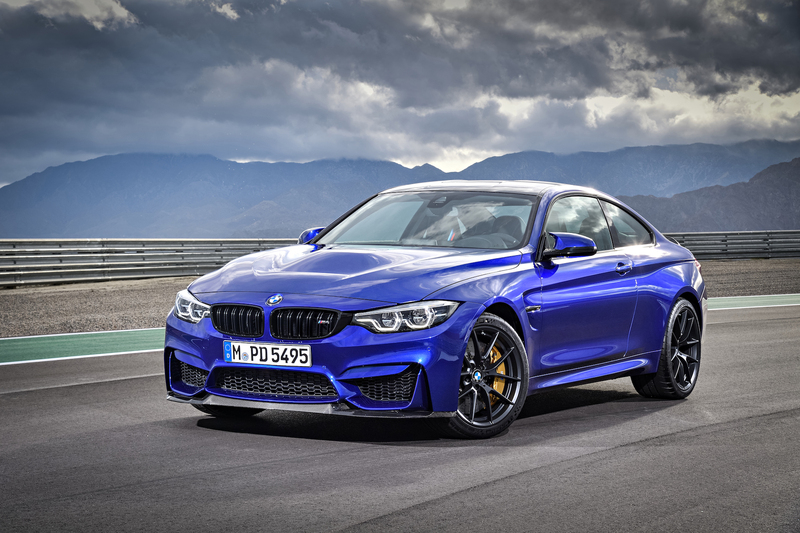 In a time where the modern BMW range is becoming more and more diluted from what it used to be, the M4 CS looks like it might be the comeback that diehard M fans have been waiting for. Best of all, it’s not a limited production run so everybody that wants one will be able to get one. It also comes as standard in San Marino Blue; a hark back to the Interlagos Blue used on the E46 M3 CS perhaps? Any road car that is advertised with one of the key selling points being it can do a wheelie off the line on a drag strip has to be a good one. Also, any road car that can do 0-60 mph in 2.3 seconds has to be a good one. Plus, any company that has the bravery to call its new model the ‘Demon’ has to be a good one. So when the Dodge Challenger SRT Demon was released this year boasting all of these traits, plus a factory option drag racing package, it went down as an awesome moment in motoring history. 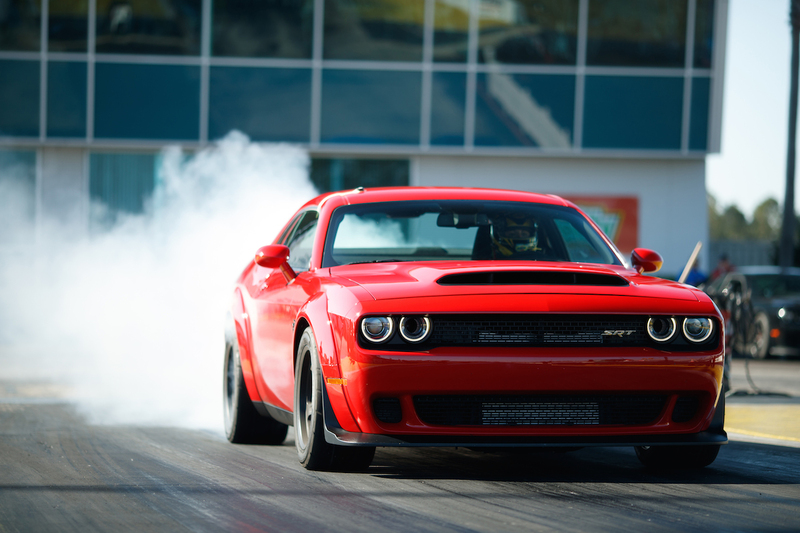 In essence, the Demon is a beefed up SRT Hellcat made for drag racing. It comes with sticky road legal drag radials on the back, tiny pizza cutters on the front, and a stonking great 6.2 Supercharged V8 with enough power and torque to pull down a skyscraper. That’s 840bhp and 770lb-ft to to be exact. In a time where most automakers are catering for the mass market, Dodge is one of the few large companies that actually caters to the enthusiasts. For that alone, the SRT Demon is well-deserving of 2nd place on this list. Yes, you’ve read that right, and no I haven’t gone fully insane. I am genuinely awarding the top spot on the best new cars of 2017 to a supermini and a 42-year-old hatchback. But bare with me on this! When the original Mk1 GTI was launched back in 1975 – it wasn’t until 1979 that RHD models came to the UK – it brought uncomplicated, and affordable, motoring fun to the masses. The idea went down well, with the Golf GTI thriving for over four decades now. Sure it went through a rough patch or two, but it’s still as good as ever. The only problem with the modern Golf GTI is that it’s based on the modern standard Golf. The Mkk7.5 Golf is a brilliant car don’t get me wrong. But, as with all modern cars, they’re getting quite big, quite heavy, and rather expensive too. The latest Mk7.5 Golf GTI weighs in at nearly 1,400kg, which is close to double the 810kg of the Mk1. What’s more, prices for the latest Golf GTI start close to £30,000. As a result of this, the latest Golf GTI has become less accessible to everyone. Cue the Up! GTI. This little number shares the same famous 3 letters with its bigger Golf brother, and arguably more of the GTI spirit. On paper things look good, as this baby GTI tips the scales at just under a tonne, and has 3bhp more than the 110bhp of the Mk1 GTI. In a sprint to 0-60mph, the two cars, although over 40 years apart, are just 0.2 of a second away from one another. Styling wise, both share the stupidly cool red stripe, whilst the Up! has kept up to date, sporting an aggressive body kit and 17-inch alloy wheels. The original Mk1 made do with just steelies – although Pirelli P slots were later an optional extra – and what the Mk1 lacks in styling flourishes, it makes up in achingly cool retro credit. Inside both new and old share tartan seating, and a manual gearbox. Perhaps best of all is that the new Up! GTI is expected to be priced around £15,000; half that of the new Golf GTI, and a similar price to that of a well-sorted Mk1 GTI today. So it’s a hard decision picking between the two really. One comes with a warranty and a new car smell, the other with legendary status and patina. In fact, I had such a hard time picking between them, that I decided they would come as a package. So there we have it your ultimate escape from the tyranny of modern day driving. The VW Up! GTI / Mk1 Golf GTI. Buy either, but they’ll both be brilliant. I know some of you might be a bit shocked by this year’s winner(s) but come on. Nostalgia was always going to trump efficiency! Until next year, thanks for reading, and cheerio.